Well, it is that time of year after all. With pumpkins, cranberries and sugar plums dancing in my head. So many fabulous flavors to enjoy during the holidays. Eggnog is another favorite of mine. Less favorite is gingerbread. I don’t dislike it, it’s just not part of the top ten on my holiday favorite foods and flavors. However, I happened to have come across a gingerbread liqueur from a blog last year, and I’ve been saving it until now. For once, I actually know from whose blog this recipe came – it’s from Boozed and Infused! As always, since you’d have to point a gun at me to follow a recipe to the letter, I changed things up slightly. I just can’t help myself. So here’s what I did; you can check out the original recipe on Alicia’s blog! Trim the ginger of its peel. 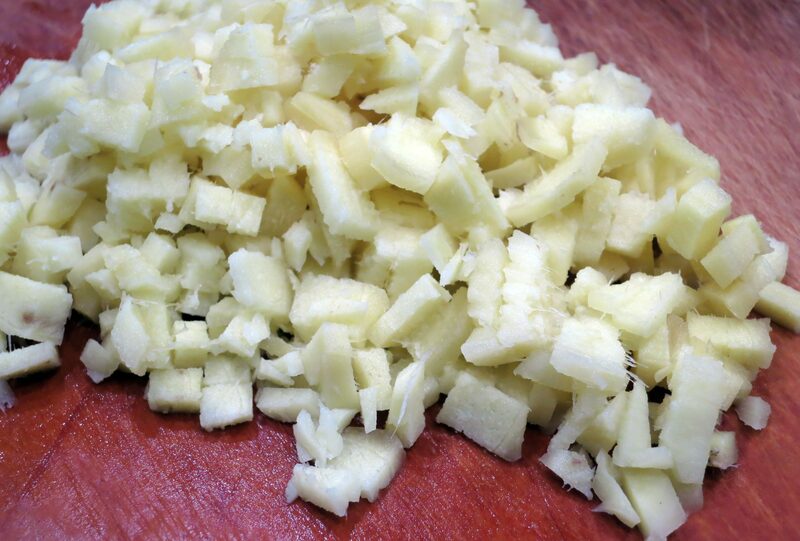 Finely chop the ginger. 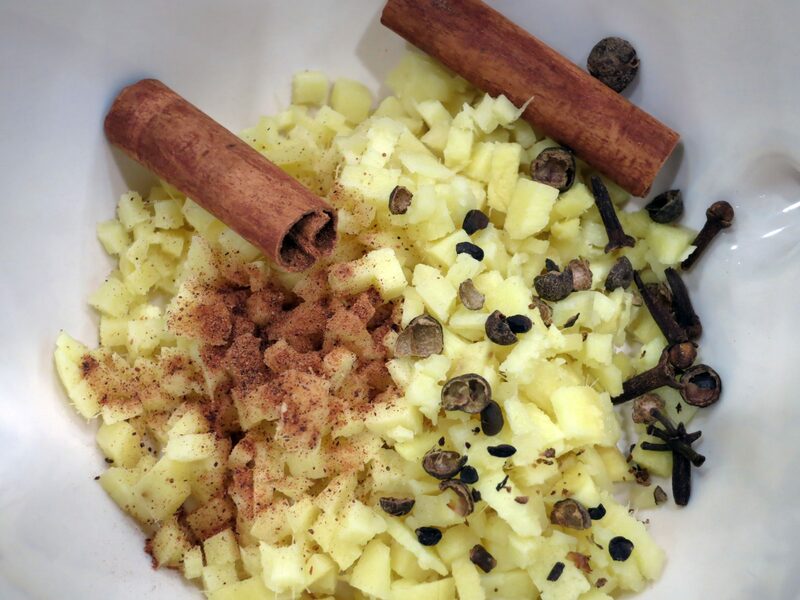 In a microwaveable bowl, add the ginger, cinnamon, allspice, cloves, and nutmeg. Then pour in the molasses and add the brown sugar. Give it a stir, then heat in the microwave for just a minute. Make sure the sugar has completely dissolved. 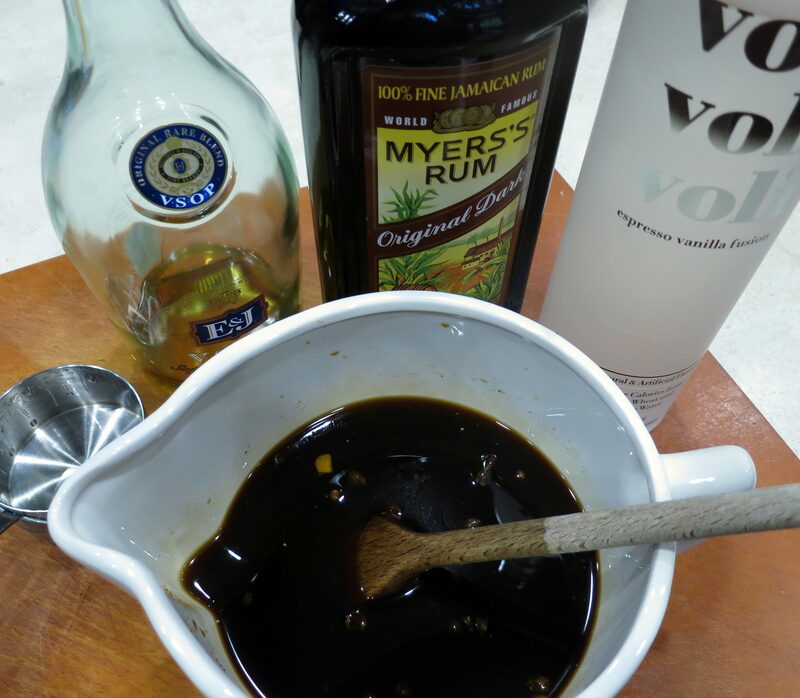 Let the mixture cool somewhat, then add the vodka, brandy, and rum. Stir well, then pour into a pint jar and seal. Store in a dark place for two weeks. 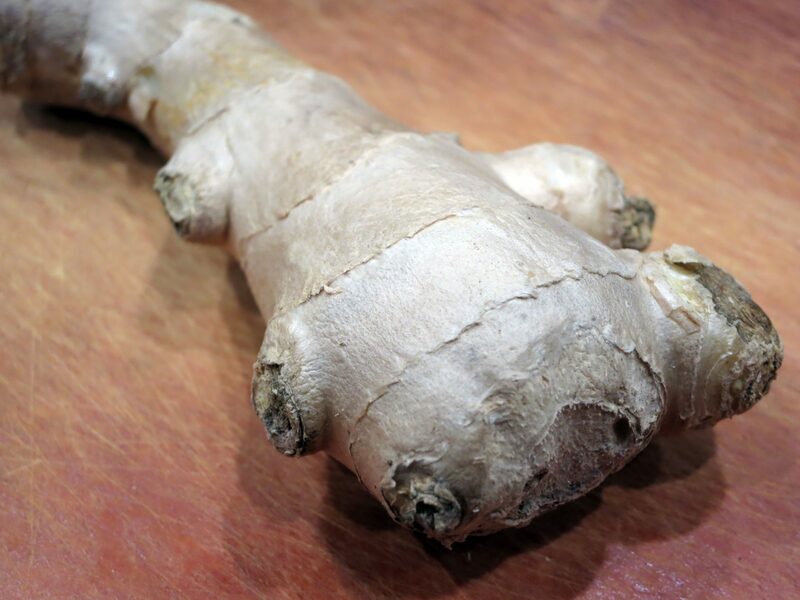 Can’t wait to hear how this turns out– I love anything with ginger in it! P.S. I started liking gingerbread a whole lot more when I starting serving it with homemade lemon curd. And I’m the same with making clothes as you are with recipes–I have to put my own spin on every project! hmmmmm gingerbread and lemon curd. So interesting and tempting to try! spoiler alert – it a good one! YOu come up with the most interesting wild recipes and combination. I love it! Thanks! But this one wasn’t my idea! Can’t wait to see what you think of it! I can tell you that we loved it! what did you do with it? drink it straight? or mix it? I have the post coming shortly on how I served it. I’m not that creative in that department, but I added 1/2 and 1/2, and also added it to hot coffee. Seriously it was amazing. Now I have to make more! I can’t wait to see the post! I think I may have to make some! 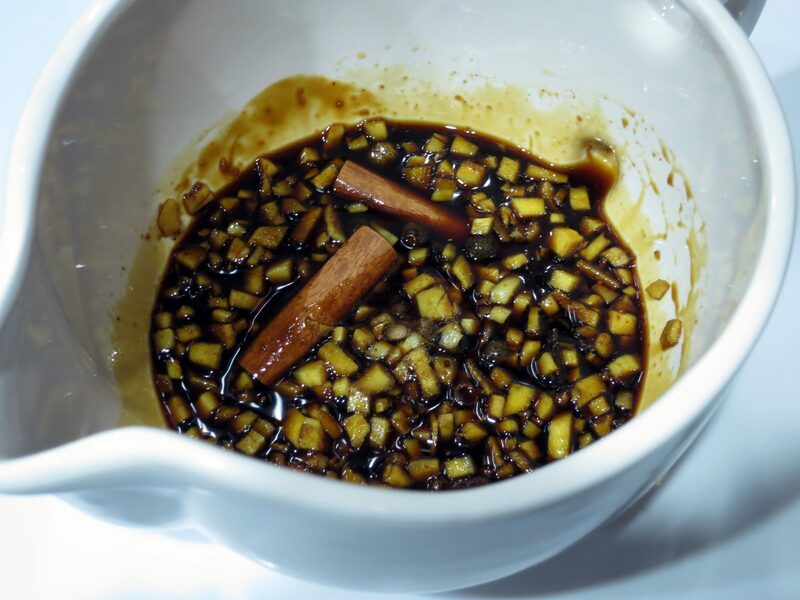 If I used gingerbread liqueur a lot, I’d definitely try to make my own! If you tasted this liqueur, you’d start making it!!! What an interesting recipe. Can’t wait for the verdict! This recipe only makes a pint – which didn’t last but one afternoon here! I’d definitely triple the recipe or more, cause you’re gonna want some for yourself! I don’t love a LOT of ginger, but this stuff is amazing! You know… I bought some Voli coffee-flavored vodka about 2 years ago and never have used it, so I thought I’d throw it in with the other ingredients, instead of plain vodka. I don’t think it had an impact on the flavor. Sorry you hate coffee! Must be a tea drinker! Love Alicia’s infusions! This looks wonderful! I too am not a huge gingerbread person despite the fact that I like the spices that it contains. This liqueur would be perfect! It came out even better than I thought it would. You need to try it – but make a much bigger batch! OK…I have made gingerbread granola and gingerbread pancakes this weekend as we celebrated an early Thanksgiving here. This is what I needed! If you make it, make a huge batch. This one lasted 6 drinks and now I have to make more! Whoa, this sounds amazing, I’m off to buy the ingredients! Just a suggestion – make a much bigger batch – it goes really fast! Trust me, it’s a good one. If you do make it, make a much larger batch, because it goes fast!!! Definitely. You know, I should have mentioned that. I happened to have this Voli coffee-flavored/infused vodka that I’d never touched, so just for fun I thought I’d use it. I doubt the coffee part contributed that much at all. Try it with plain vodka, and trust me, make a double or triple batch! Very tempting Mimi. Very tempting. Oh, yummy, Is it worth asking about the shelf life of this delish sounding drink? Well, I was planning on keeping it in the refrigerator in any case, but after having six drinks (experimentation) between my husband and myself, it was all gone. I would recommend making a quadruple batch and storing in the fridge. “I would have actually added all of the just-used ingredients to a mini blender and emulsified them”. Wouldn’t the cinnamon sticks dull the mini blender? Although, I guess that it couldn’t be worse than using it to chop up ice for for frozen drinks…. Definitely going to make this. Thanks for posting it. Nah, I was talking, obviously in a non-articulate fashion, about emulsifying the ginger for the most part. Definitely not the hard thingies!